EuroRAP – We know how to reduce road deaths and serious injuries! In September iRAP (The International Road Assessment Programme) published the third edition of ‘Vaccines for Roads’, a brochure summarising recent world-wide implementations of road design countermeasures to improve road safety. 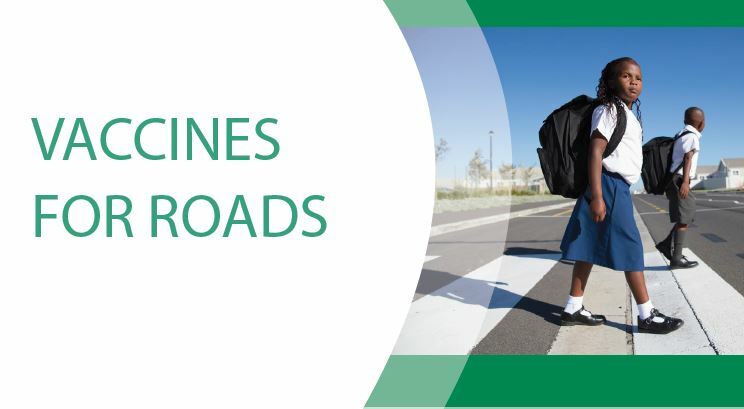 Summaries of ‘Vaccines for Roads’ are now available in English, Spanish and Portuguese. iRAP is also making available its fact sheet for policymakers translated into three languages. The fact sheet explains how roads are assessed, by whom (it could be by you! ), and how much it costs to use the star rating methodology (nothing! ).